We are engaged in offering Tilmate Tractor Rotavator. Our company has been successful in winning appreciation from the clients as one of the most prominent names in the trading of Tilmate Tractor Rotavator. 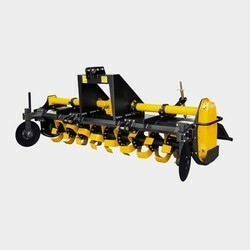 We are unique supplier of Tilmate Tractor Rotavator. The Bajrangkrishiyantra Rotavator / Rotary Tiller produces a fine seed bed with one or two passes before and after rain. It is most suitable for the removal of stubble sugarcane, wheat, banana, cotton. It retains soil moisture and increases soil porosity and areation, which enhance germination and growth of crops. We are a top-notch organization, engaged in providing Tilmate Tractor Rotavator. We are one of the best supplier of Tilmate Tractor Rotavator. We are supplier of Tilmate Tractor Rotavator. We are dealing in Tilmate Tractor Rotavator. We are main supplier of Tilmate Tractor Rotavator. We are engaged in supplying Tilmate Tractor Rotavator. 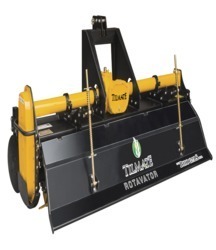 We are top notch supplier of Tilmate Tractor Rotavator. We are famous supplier of Tilmate Tractor Rotavator. Our reputed entity is engaged in supplying Tilmate Tractor Rotavator. We are renowned name in the field of supplying Tilmate Tractor Rotavator.